NOTE:Dogs, cats and firearms are not permitted. The park is situated south of the Princes Highway between Rosedale and Sale. The main access is from Rosedale, via the Rosedale Willung Road and Recreation Racecourse Road. A network of sandy roads and tracks provides access within the park. Holey Plains State Park in East Gippsland covers an area of 10,460ha of mostly banksia-eucalypt open-forests and woodlands growing on a series of low sandy ridges. 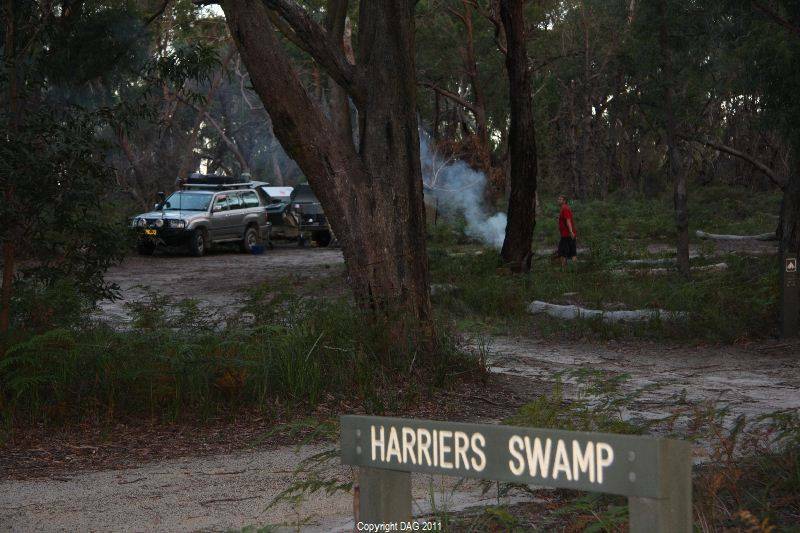 Entrance to the Holey Plains State Park - Harriers Swamp its Easy to miss the turnoff so use GPS to locate it.